The criminal case against the elected president and senior leaders of the Sudanese Church of Christ (SCOC) was dismissed on 9 August. CSW has learned that the criminal case against the elected president and senior leaders of the Sudanese Church of Christ (SCOC) was dismissed on 9 August. Eight leaders of the SCOC were arrested on 23 August 2017 and charged with trespassing on the church headquarters. They were also accused of refusing to hand over administrative control to an unelected church committee led by Mr Angelo Alzaki and appointed by the government. The SCOC is a predominantly Nuban denomination and has experienced both religious and ethnic discrimination. 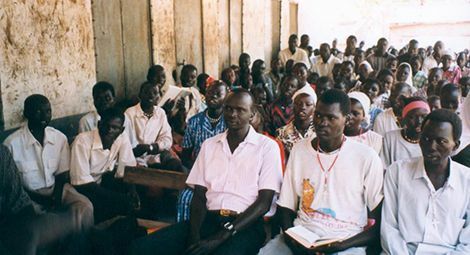 The experiences of the SCOC mirror those of the Sudan Evangelical Presbyterian Church (SEPC), where a government-backed church committee, that was not constituted in accordance with church procedures, has sold church land to developers. In 2017, the Ministry of Guidance and Religious Endowments, which oversees religious affairs in Sudan, appointed an alternative Executive Committee for the SCOC, led by Mr Angelo Alzaki, to manage church affairs. The decision violated the internal procedures of the church and is illustrative of government interference in the affairs of religious institutions. The criminal proceedings against the elected SCOC leadership started in late 2017 and lasted for over ten months, with delays caused by the prosecution prolonging the proceedings. On 9 August 2018, after hearing the prosecution’s case and questioning the witnesses presented by the complainant, which included an official from the Ministry of Guidance and Religious Endowments, the judge ruled that the SCOC President and senior leaders had no criminal case to answer and dismissed the charges. In his ruling, he commented that the case centred entirely on an administrative dispute which was not criminal in nature. Reverend Kuwa Shamal, who was released in January 2017 after standing trial for national security crimes in 2016, was among the eight SCOC leaders accused in this case.